Off the Wall pot is an exquisite wall mounted pot with a playful result available in a variety of colors and two sizes, small and large. 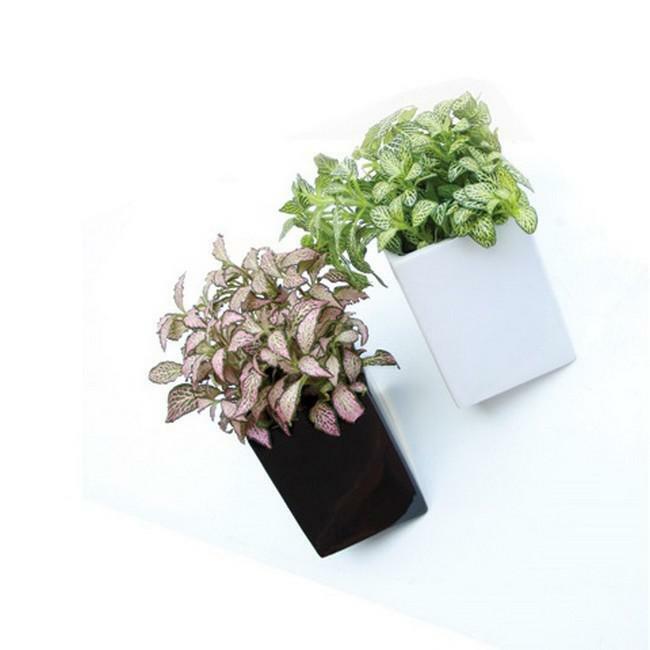 Delightful and petite, the off the wall plant pots are ideal for small flourishes of greenery within your home from the kitchen, living room, home office through to the bathroom. 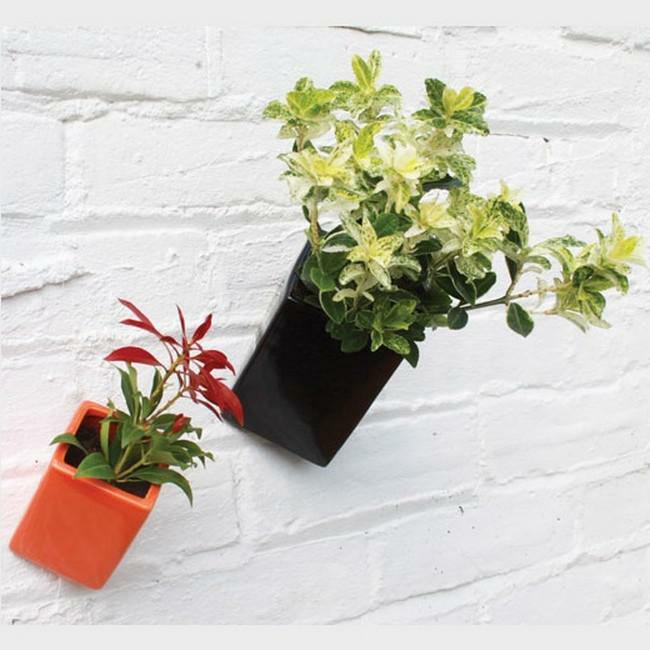 With invisible fixings these simple pots let your plants nestle on the wall as you create vertical interior gardens around your home. Put them in groups and combine the colors for a joyful result. 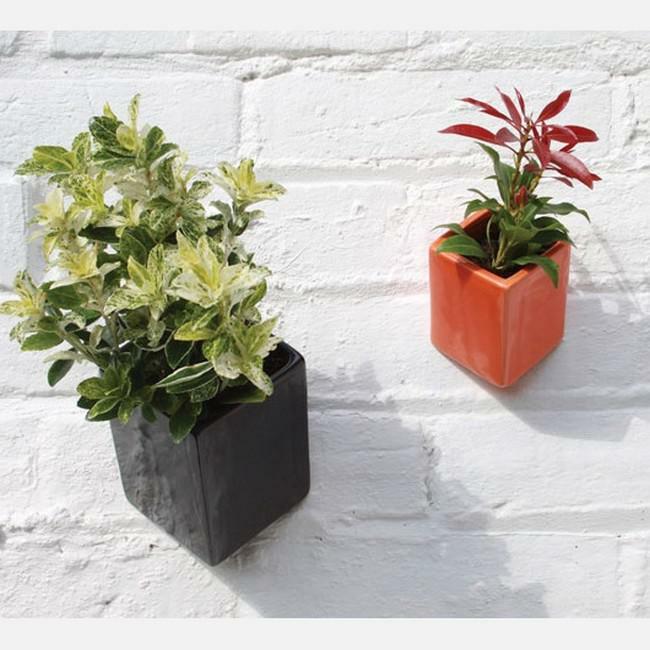 Off the Wall Pot Large is available in three colors: White, Black and Orange. Large: 85mm x 85mm x 115mm.